Visiting a cosmetic dentist in the Walnut Creek area is the first step to take if you are truly interested in enhancing the smile. Patients used to believe that cosmetic dentistry was overpriced and unattainable. They thought that cosmetic treatments were only affordable to the Hollywood elite. This is not the case! In fact, many patients in the Walnut Creek area are excited to learn how easy it is to have aesthetic work done and not break the bank! 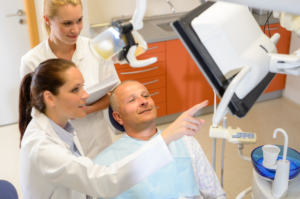 Cosmetic dentistry incorporates many different services. Some patients may choose just one or two treatments while others may work with Dr. Greenfield to develop a complete treatment plan that involves many of the below services for optimum results. Porcelain crowns – patients who need to cover or protect a tooth may opt for the placement of a porcelain crown. These crowns are made of quality ceramics and are bonded over a tooth. They can make a tooth stronger while also improving its appearance. Teeth whitening – while over-the-counter whitening products are a dime a dozen, they fail to provide results patients want to achieve. This is why our team provides professional-grade teeth whitening with patient choice of either in-office power bleaching or take-home whitening trays. Dental bridges – a dental bridge can “bridge the gap” when teeth are missing from the smile. These restorations are made of high-quality porcelain and bonded over the adjacent teeth for support. These restorations are permanent and beautiful. Dental veneers – porcelain veneers are facings made for patients to bond over a tooth to camouflage issues such as staining, misalignment, and breakage quickly and easily. Dental bonding – composite resin bonding also plays an important role in cosmetic dentistry. It can be used to repair a tooth or cover imperfections. If you live in the area of Walnut Creek, California and have considered visiting a cosmetic dentist to discuss treatment options, now is the time to make an appointment with your Walnut Creek cosmetic dentist, Dr. Greenfield. His practice is conveniently located at 1111 Civic Drive, Suite 145 and can be reached at (925) 937-9017. Call today to schedule your no-obligation consultation visit with our staff and discuss the many possibilities for enhancing the aesthetics of the smile quickly and easily with cosmetic dentistry solutions. They say a photo can speak a thousand words. The same can be said about a smile. Beautiful smiles exude confidence and attract positive attention. Many patients with an attractive smile tend to smile more and share their happiness with others. 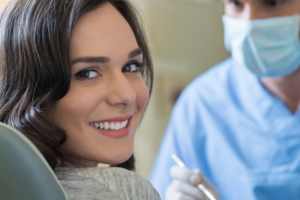 This is why the cosmetic dentist in Walnut Creek Cosmetic Dentistry works with patients to help them achieve the smile of their dreams with aesthetic services. At Walnut Creek Cosmetic Dentistry, we offer a wide range of aesthetic services to new and existing patients in the community. 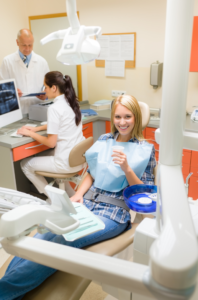 However, we are on of the few in the area to offer CEREC technology for same-day dentistry. Same-day dentistry eliminates the need for temporary restorations as well as the need for return appointments. 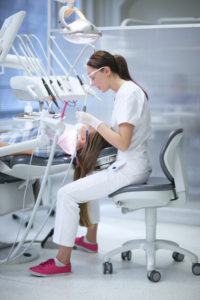 In the past, a dental crown, bridge, or veneer would require more than one visit to the dental chair. The first appointment would be for the preparation of the tooth, impressions, and the placement of a temporary restoration. The following appointment, often weeks later, would be for the bonding of the new restoration in place. 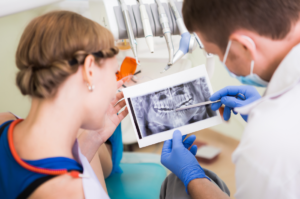 For patients who are incredibly anxious about visiting the dentist, this could be troublesome in addition to time-consuming. Instead, with CEREC technology, the dental team can do all of this in one appointment. CEREC is a device with CAD/CAM software which uses digitized impressions of the teeth to create restorations in-house in approximately 20 minutes or less. These restorations are just as durable and beautiful as anything created in an outside ceramist laboratory. The restorations are made to match the color, shape, and size of the existing teeth for seamless integration and patients love the ability to have everything done in just one visit versus several with other dentists in the community. Ready to discuss with your dentist the benefits of CEREC technology in improving the smile? Contact Walnut Creek Cosmetic Dentistry today at (925) 937-9017 and make an appointment. His friendly staff is ready and willing to help new and existing patients learn about the amazing state-of-the-art equipment used in our facility for optimum results and better patient satisfaction.